Friends don’t let friends have boring pots & planters. 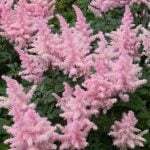 At least, gardening friends don’t! 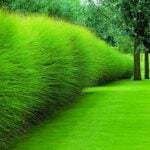 One of the easiest (and cheapest) ways to inject a bit of personality into any garden is to pump up the garden decor. Painting terra cotta pots is easy, fast and really makes an impact in your outdoor spaces. Here are some simple tips for painting flower pots, and a bunch of great projects with instructions, plus tons of inspiration! 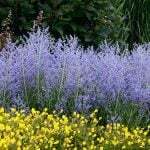 Choose the same style for all your painted pots within the same garden. If half your pots are formal and the other half are whimsical (although there is always room for some crossover) then your outdoor spaces will seem disjointed. Keep in mind the same decorating principles you use indoors…tie the pots together by style or color. Follow the instructions for prepping your terra cotta pots properly. (Then say that ten times fast.) 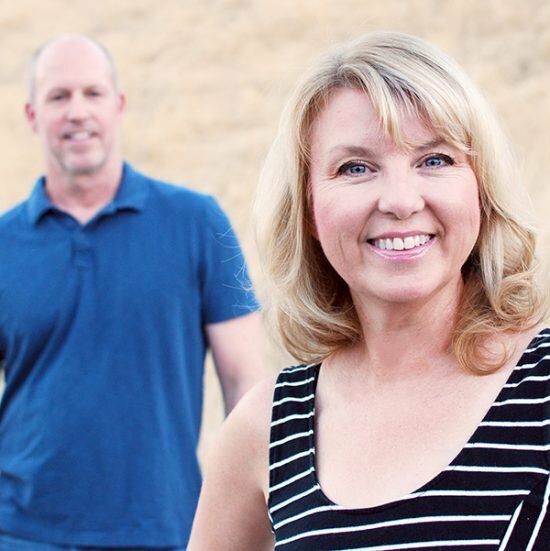 Outdoor painting projects can deteriorate quickly if they are done lazily…it’s worth the extra step. This means priming in most cases. 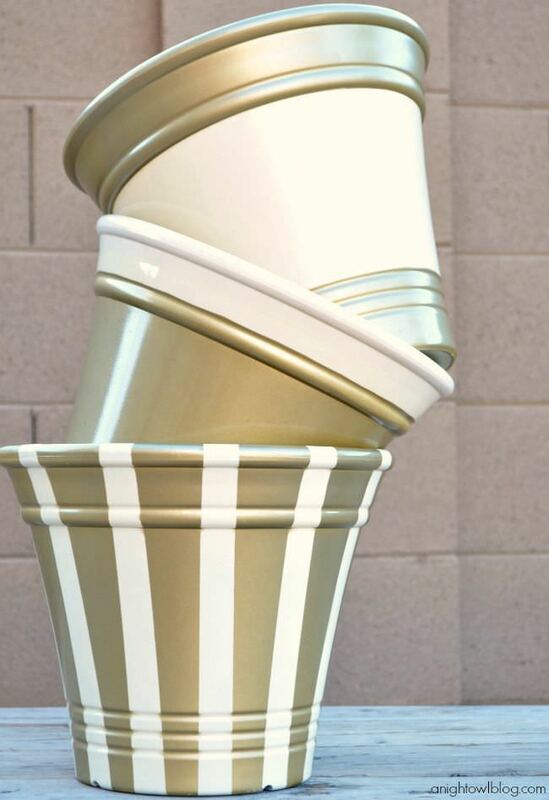 Consider sealing your painted pots with an outdoor grade clear sealer. Same reason as prepping properly! 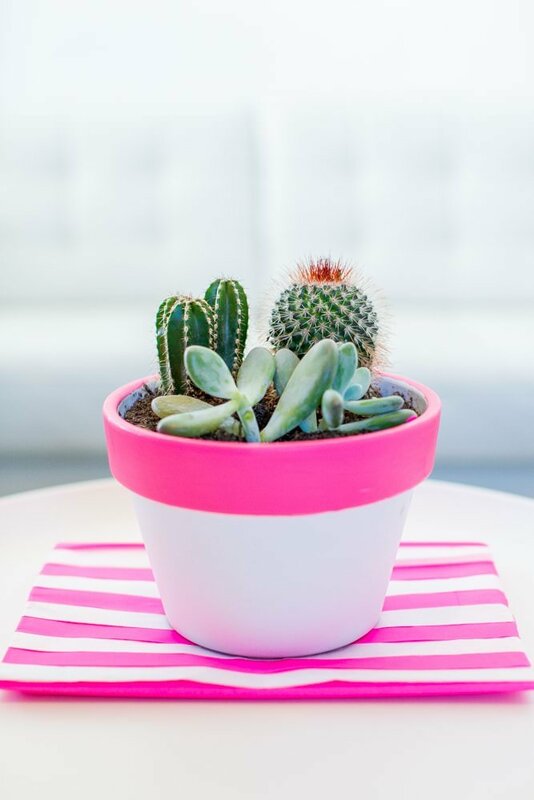 Love these amazing hot pink painted terra cotta pots from ‘Best Friends for Frosting‘, Like, love! I am doing am makeover on my home office with a bright and colorful look, and these are going to be the perfect painted pot project! 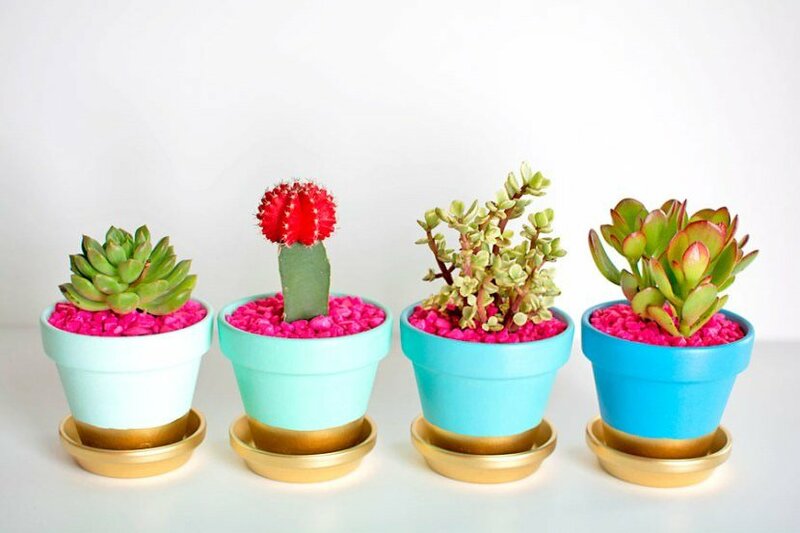 These gold dipped painted flower pots are bold, fun and funky! From ‘Pottery Barn Blog‘, this is an easy way to bring a little freshness into your everyday darden decor. 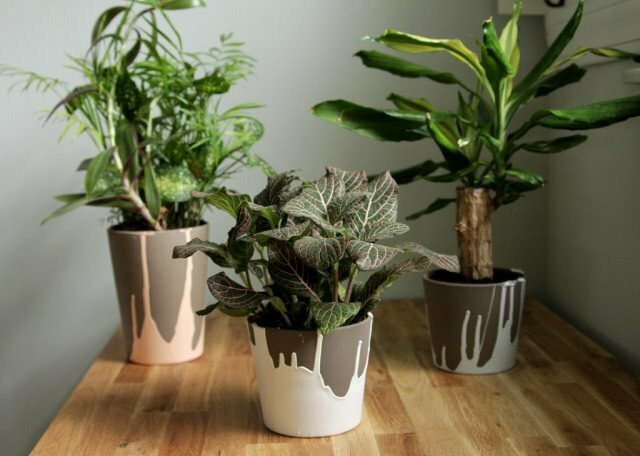 This project from ‘The Decor Fix‘ are DIY paint dipped terra cotta pots… Easy, and really cool, plus she has step by step instructions for you. 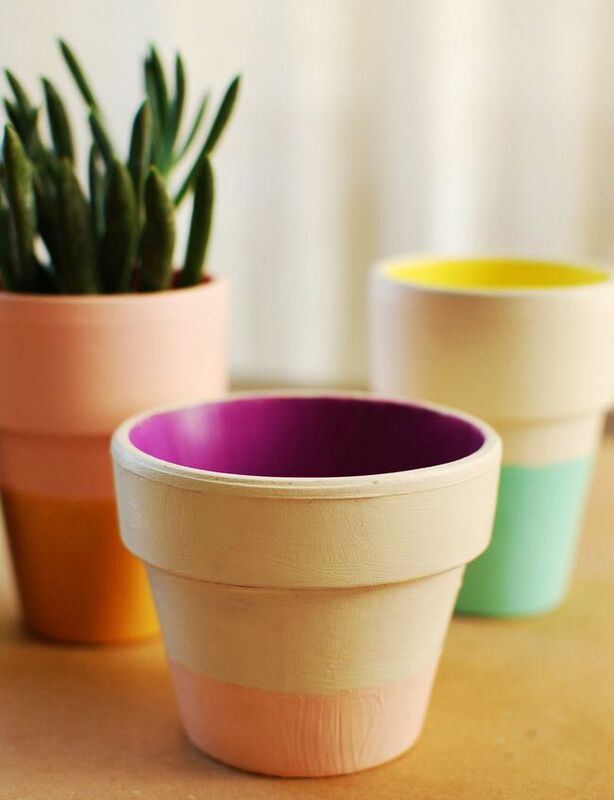 Since dipped painted pots seem so popular right now, we thought you would like this neon dipped pot project from ‘Hello Bee‘. Here’s a cool project for you. 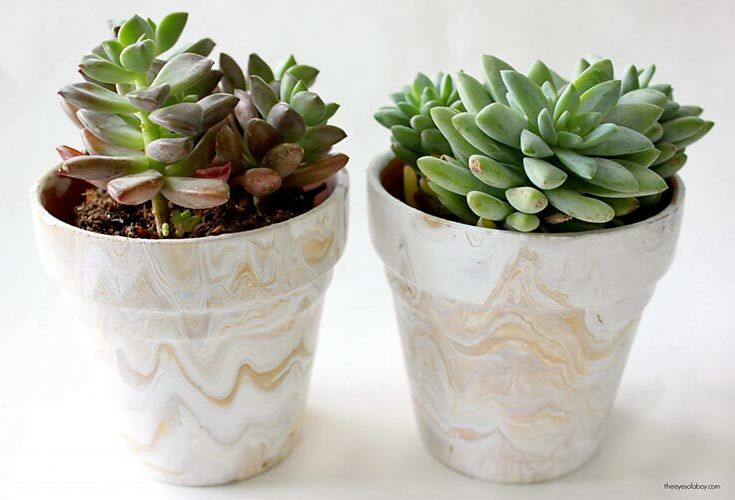 These DIY Marbled Terra Cotta Pots, are really cute and unique. ‘Wildly Charmed‘ has a great tutorial showing her technique for painting these. 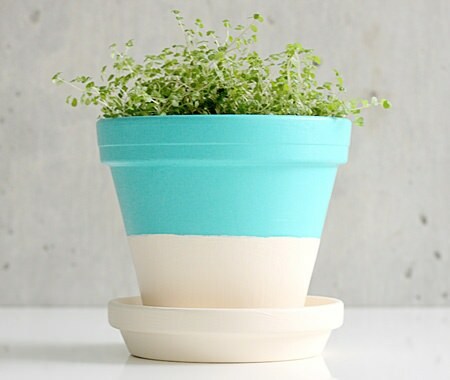 We really like this color block terra cotta painted pot project from Amanda at ‘Wit & Whistle‘. From ‘Sunset‘, painting terra cotta pots! You could do these in any color combo, but I like the idea of keeping it to one color with a neutral, or two colors for a more lively look. Any more than that and it will be a very “busy” project! I especially love this project because it’s done in my favorite colors! From ‘A Beautiful Mess‘, I really like how they also painted the inside of these Color Block Terra Cotta Pots! 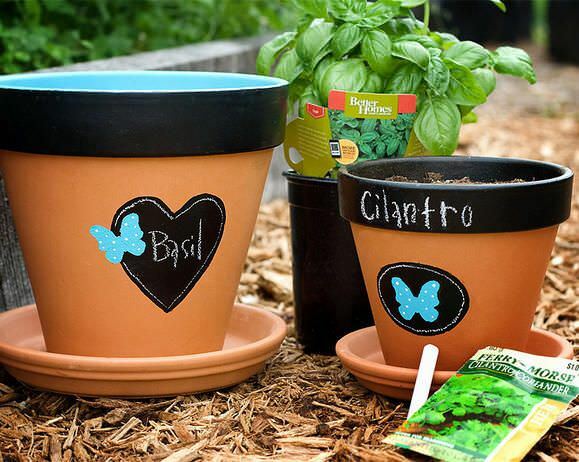 These very cute chalkboard painted flower pots are from ‘Fiskars‘, and they have really good instructions and step by step photos. Very crafty! 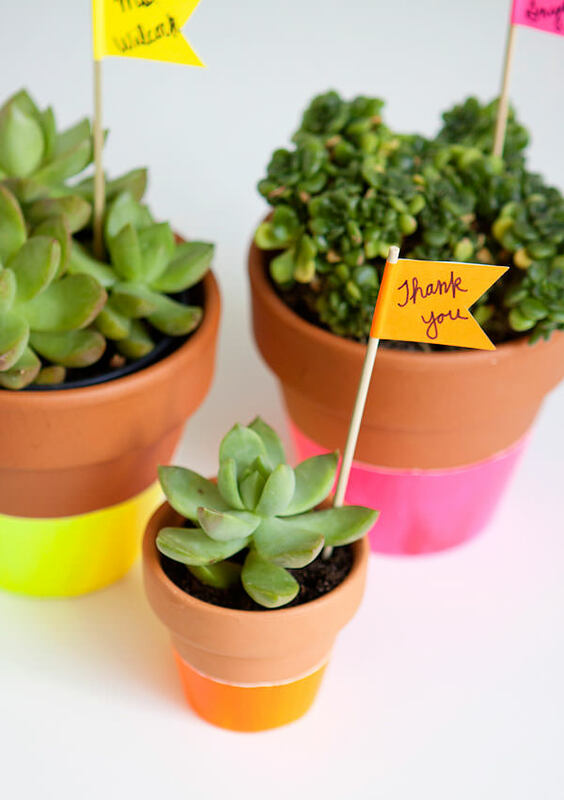 These DIY terra cotta painted pots from ‘Dellie‘ are simple and colorful, and I love this idea. These golden fall planters from ‘A Night Owl Blog‘ don’t need to wait for fall as far as I’m concerned! What a great painted clay pot project for bringing some of the metallic trend into the garden. We love painting terra cotta pots, because it’s a fast way to customize your yard or patio. 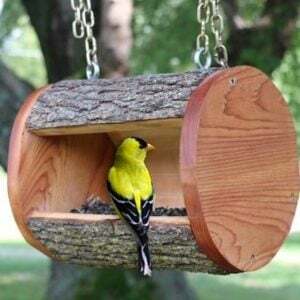 Get crafting for the garden, what better time of year for it? 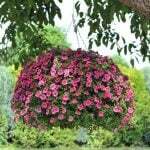 We think you will also love out post on Clever Garden Container Ideas You Never Thought Of! 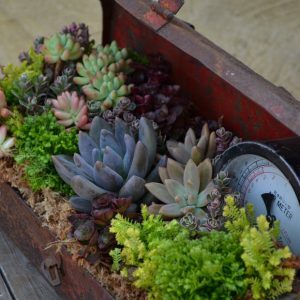 Also jump on over to our post on Stunning Planter Box Ideas for Your Patio at our sister site OhMeOhMy and check it out! 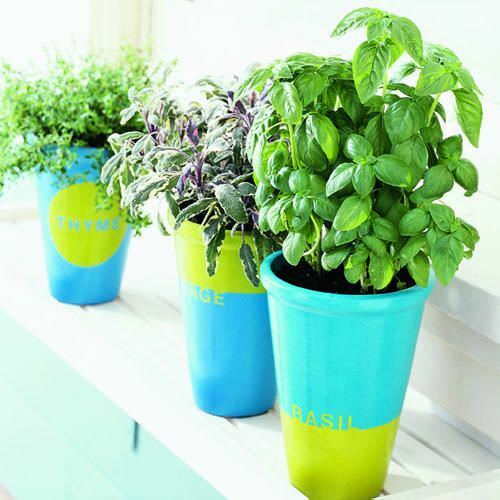 ← Clever Garden Container Ideas You Never Thought Of! 9 Stunning Ideas for Outdoor Globe String Lights!